Mary Kom has achieved unprecedented glory at the recently held World Championship by winning her sixth gold on this world stage to add to a plethora of titles – five Asian Championships titles, one Commonwealth Games gold and an Olympics bronze No doubt Mary is an excellent boxer but what is it that sets Mary apart from other super boxers like Katie Taylor’s whose record of five golds was eclipsed by Mary. SA coach Billy Walsh who had coached Katie, say that not only does Mary deserve all the accolades that are coming her way and rightly so for her unprecedented sixth gold but for her never say die attitude and a tenacity to be at her opponent till the last bell, even after 18 years in the ring that has resulted in this glorious comeback at the age of 35. Walsh feels that Mary’s aura has spread not only due to her exploits in the ring but also because of what she has done for women’s boxing outside the ring. Magnificent Mary, as she has been dubbed by AIBA, amateur boxing’s governing body has not only popularized women’s boxing in India but also has put it on a pedestal where other boxers are inspired by her feats. 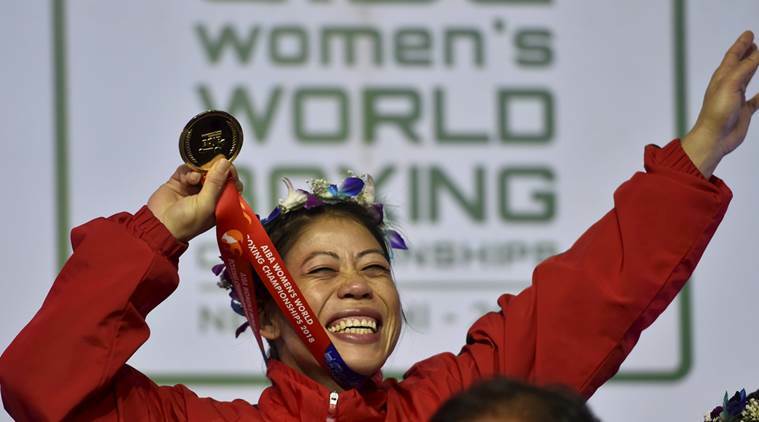 What makes her exploits even more praiseworthy is that she has won an Olympic bronze in the 51 kg category moving up from her natural 46-48 kg category. A no mean feat! Accolades on her feat of winning an unsurpassed sixth world title are coming in thick and fast with her compatriot Bulgaria’s Stoyka Petrova’s who has quit boxing after a silver in the 54 kg category at the World Championship and plans to move on to coaching opines that Mary is a technical boxer and one who is very beautiful to look at. Maarit Teuronen, coach of Olympic bronze-medallist Mira Potkonen also regards Mary as an icon of female boxing and likens her to her own protégé Mira Potkonen who took to boxing post becoming a mother and went on to win a bronze at the Rio Olympics. Maarit goes on to say that both of them have successfully broken conventions and are true role models on how to face challenges and succeed. 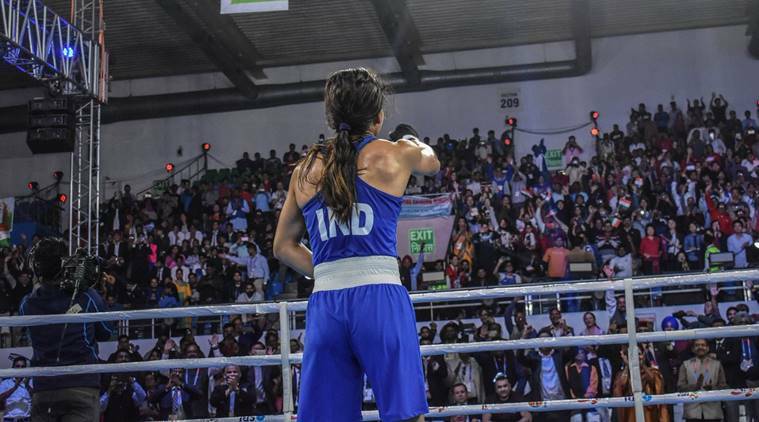 The huge fan following of Mary unnerves her opponents as Mira found out when she landed in New Delhi for the World Championships when she saw Mary’ face staring at her from every billboard at the Indira Gandhi stadium alongside her own. But fan following is a two-edged sword and affects Mary no less. She is under constant pressure to deliver beyond expectations and achieve greater glory for her country. Even though Mary has grown accustomed to such pressure over the last 16 years, her coach Raffaele Bergamasco said that even though Mary seemed normal from the outside, yet pressure did get to her and she was not able to sleep for two days towards the end of the New Delhi championship. The pressure was released only after Mary beat the Ukrainian Hanna Okhota for the title. Mary herself accepted that pressure of playing at home in a bid to win the sixth world title was the most difficult part of the entire tournament. Australian coach Kevin Smith compares her to Sachin Tendulkar as both of them are treated as demi-Gods in India with hopes and aspirations of a billion people riding on their shoulders. The demi-God status no doubt gives them wide recognition but also puts them under constant public scrutiny, a tough situation indeed. In such a scenario wins and defeats do not matter much, as Mary found out after her defeat at her comeback tournament last year in Mongolia. People seemed not to care about her defeat and were more interested in asking her to bless their children. Such a fan following does indeed put infinite pressure on the athlete. And there is more to Mary than her boxing that has endeared her to the masses. She is a delight to talk to and can unarm even the toughest of critics with her sharp sense of humour. She is also aware of the fact that comments made by her in less than fluent Hindi and English can be misinterpreted and so she is alert to clarify her statements. Like when she says – ‘mere jaisa koi paida nahi ho sakta’, she explains that it is not arrogance about her abilities but rather a plea to people not to put young boxers under the heavy burden of expectations by comparing them to her but to let them thrive in their own space, get exposure and gain enough experience. But Bergamasco calls her the “Maradona of boxing,” and aver that she has reached the heights not just because of her experience, which many other boxers also have, but due to her talent which has added luster to her experience. He goes on to say that Mary is indeed a shining star, a brightly shining one at that with a huge fan following that she has rightly earned by here hard work, dedication and achievements.